Free shipping. Buy direct from HP. 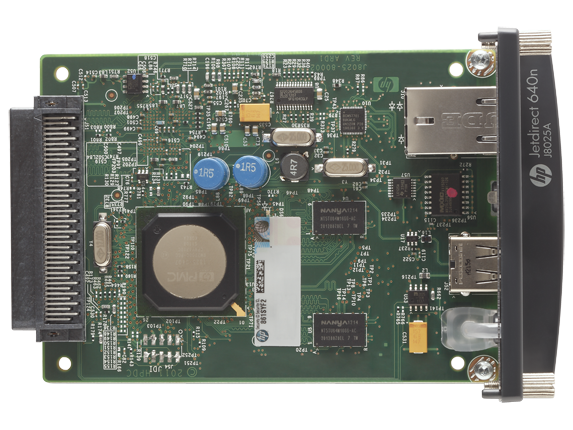 See customer reviews and comparisons for the HP Jetdirect 640n Print Server. Upgrades and savings on select products. 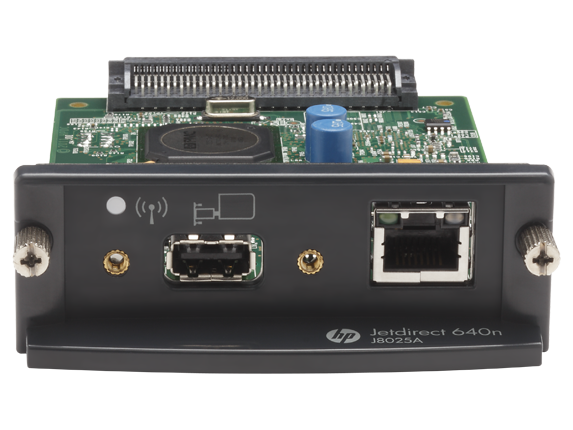 The HP Jetdirect 640n is a reliable print networking device that offers high-speed wired functionality, easy setup, full manageability, backward compatibility, and enterprise-class security features. Quickly connect to shared printers and MFPs throughout your office, over a gigabit network. Maintain rigorous standards through IPv6 network features: more IP addresses than IPv4 and IPsec security. Help reduce costs with off-the-shelf functionality and backward compatibility. Guard your print network via IPsec, SNMPv3, Kerberos, 802.1x, SSL/TLS, ACL, PWD protection, and IPP over TLS. 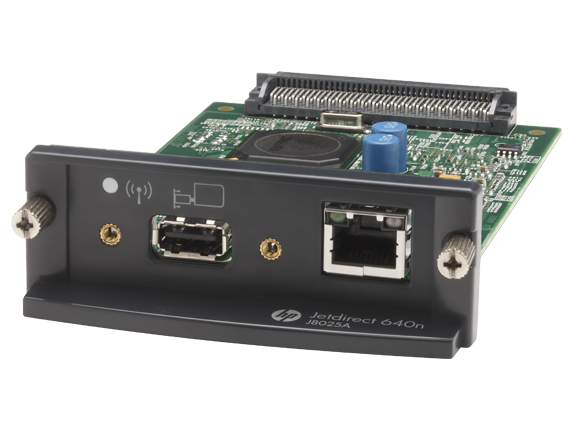 Increase the security of HP devices as soon as they are added to the network with HP Instant-on Security. Rely on HP Web Jetadmin for efficient installation, configuration, and management of multiple devices. Easily configure and manage printing with embedded web server capabilities. 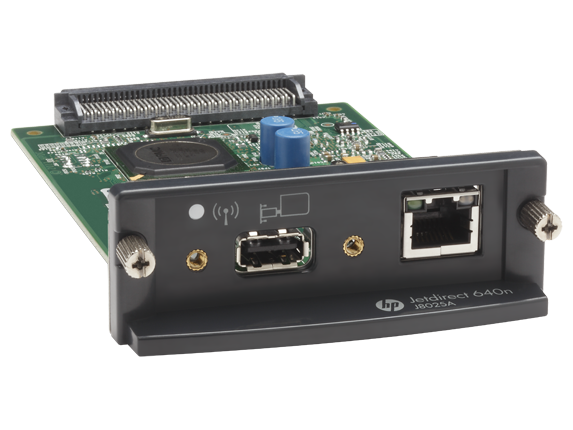 Help maintain security compliance with HP Imaging and Printing Security Center's automated monitoring. 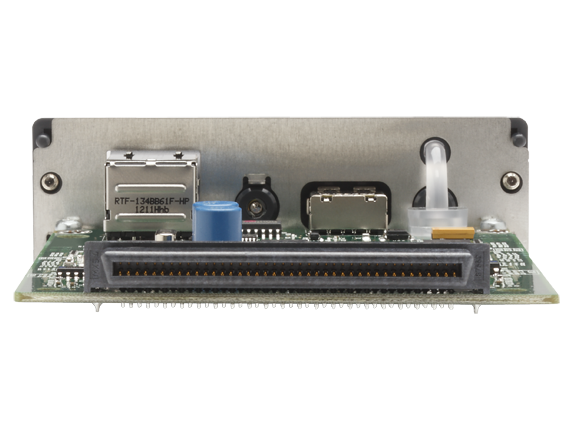 Get up and running quickly using a modular internal card that fits the EIO slot of compatible HP devices. Set up in a snap with easy configuration and full-fleet options, including improved installation wizard. Count on support for a wide range of industry-standard operating systems and network protocols. Suit your needs with a widely compatible, scalable server that can easily accommodate future enhancements.